The Reserve Bank of India imposed Rs20 lakh fine each on HDFC Bank, IDBI Bank and Kotak Mahindra Bank for non-compliance with various directions on Know Your Customer (KYC) norms and Anti-Money Laundering (AML) standards. 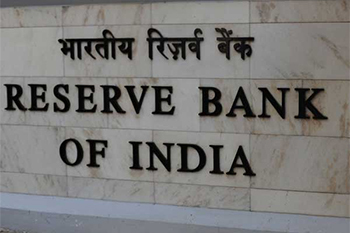 The Reserve Bank of India (RBI) on Tuesday said it has imposed penalties on seven lenders, including HDFC Bank, Kotak Mahindra Bank, Allahabad Bank and, Bank of Maharashtra for violation of various banking norms. The Reserve Bank of India imposed Rs20 lakh fine each on HDFC Bank, IDBI Bank, and Kotak Mahindra Bank for non-compliance with various directions on Know Your Customer (KYC) norms and Anti-Money Laundering (AML) standards. Further, the central bank has imposed a penalty of Rs1.5cr each on Allahabad Bank, Bank of Maharashtra and Indian Overseas Bank for non-compliance with various directions issued by RBI on monitoring of end use of funds, exchange of information with other banks, classification and reporting of frauds, and on restructuring of accounts. A penalty of Rs1cr has been imposed on Andhra Bank for similar violations. The penalties have been imposed in exercise of powers vested in RBI under the provisions of Section 47A(1)(c) read with Section 46(4)(i) of the Banking Regulation Act, 1949, taking into account failure of the above banks to adhere to the aforesaid directions issued by RBI. This action is based on deficiencies in regulatory compliance and is not intended to pronounce upon the validity of any transaction or agreement entered into by the banks with their customers, the RBI said in a press note.